The title of my presentation is borrowed from a book published in 1997 by Paul Cohen, who recounts the history of the Boxer Rebellion, a critical episode in Chinese history. As Cohen shows, history is never a straightforward matter. Instead, it is much like a piece of music that can be sung or played in more than one key. Weaving together different strands and drawing on different bodies of evidence, writing history is a creative and interpretive act, to some extent an act of imagination. Not unlike translation itself, in other words. To illustrate and highlight methodological issues in translation history, I will focus on the case of James Legge, an influential missionary-translator. 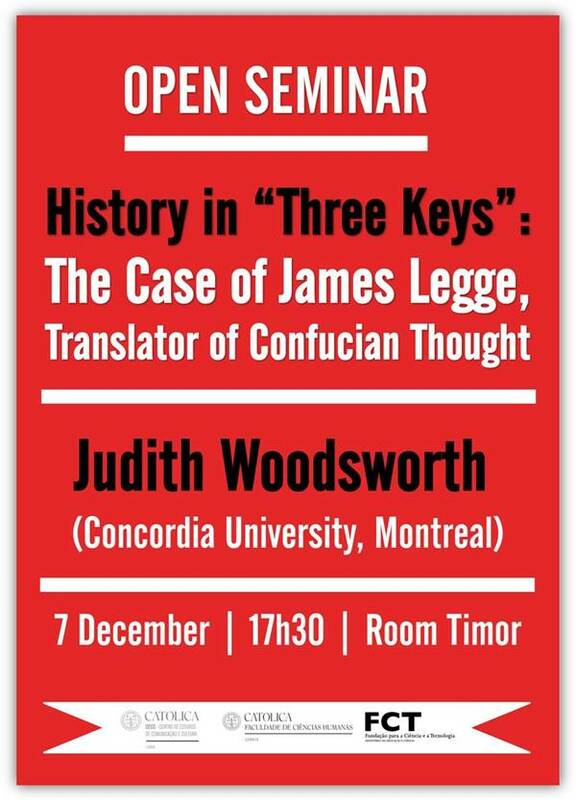 Mentioned merely in passing in the original edition of Translators through History, James Legge is the subject of a new section of the chapter on religions in the updated English edition of 2012 and the subsequent French version of 2014. James Legge merits even greater attention, particularly as this year, 2015, is the 200th anniversary of his birth. He is an important figure in the history of translation because of the sheer volume of his work and his rigorous method of translating and retranslating classical Chinese texts. By the time he resigned his post as missionary, after thirty years in Hong Kon g, his reputation as an Orientalist was so far-reaching that private funding had been raised to create a chair for him at Oxford University, and James Legge became Oxford’s first professor of Chinese. His translations continue to serve as authoritative editions of Confucius. As is the case for most historical narratives, it is hard to know where the so-called ‘truth’ lies in this story. It is undoubtedly somewhere in between the extremes of fulsome praise and harsh criticism. This talk aims not so much to set the record straight, but to reflect on the extent to which the same story can be told and retold from multiple perspectives.